Good morning Folk! Still activating the air-conditioner or television using your trusty remote control? Perhaps you planning for early breakfast with the family and you find yourself missing the remote control to the gate Or perhaps you forget to switch off the heater at bathroom. Technology is good thing for our life however is there is limit to how many technology that we can handle at same time . #Xremote plan to change everything about Smart Home System unlike other system that only handle one portion or a small part of the home. You practically control everything (every major device) at your home as long it powered and hook up to the system. Best part you can tuck away those remote control and use your phone as Single Universal Remote Control. It like the "Lord of Ring movies" where you as Sauron already control "Ring of Power" ( your phone) thus control entire Middle-earth (Your home) at your desire . For example, the system could just active the house light as you walk toward other room just like that without the need to touch any button Perhaps you are backpacking in Europe and you need to double check your home in United States thru the security camera and activating the entire house light just in case. 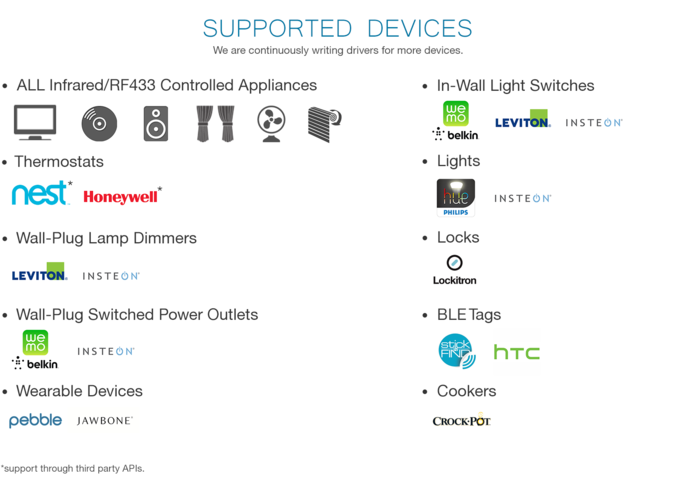 You no longer have to look for the specific controller or specific apps to operate certain appliances. You can now control all appliances and smart systems from just ONE remote controller: your smartphone. Simply put the xRemote on your coffee table and it will cover all appliances. 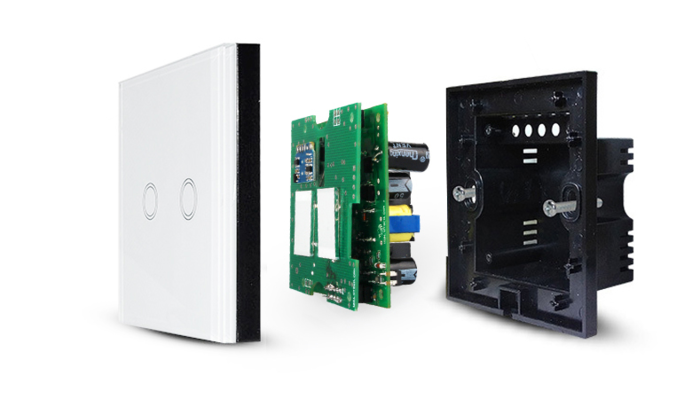 The RF protocol used will provide full house coverage connecting our products no matter how many walls are between. You can use your smartphone to control your home appliances even when you are thousands miles away from home anytime you have access to the internet. With the preset theme mode like morning/sleeping mode, theater mode and party mode, your life will be much more easier. By just clicking a button, the xRemote will execure a series of preset command automatically. The hardware of the xRemote series contains a Bluetooth chip that allows it to connect to any device that has Bluetooth capabilities like your phone. 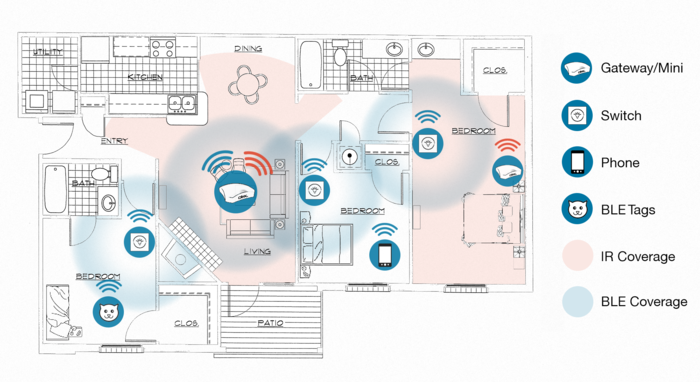 Now our system can detect where you are in the house, and turn on the nearest light for you. With the BLE tags, you can also check where is your pet or your wallet. The xRemote utilizes the GPS in your phone to detect whether you have left home or not. The system will switch between Home Mode and Away Mode based on your distance from home. This also allows our system to push notification to you when there is a situation in your house. It can be easily set up within 5 steps.Download the smartphone app, plug in the xRemote, connect the xRemote to your home Wi-Fi, add all appliances and devices, and then let xRemote learn and record all infrared control instructions. It shouldn’t be any more difficult than setting up a wireless router. The smartphone app user interface is simple and easy to use. Don’t have a need for all the features of the xRemote? We got you covered! 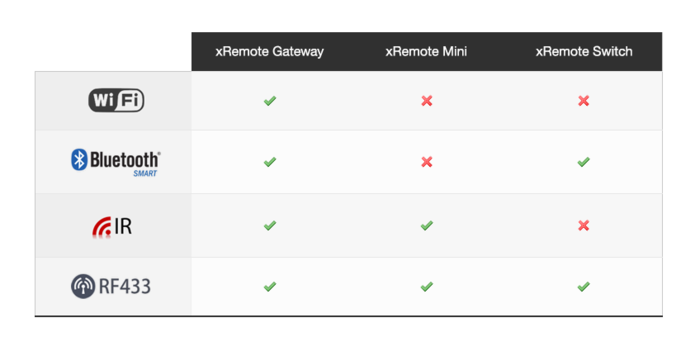 The xRemote Mini is a smaller device for purposes of just controlling IR devices within one room, and it looks just like the Gateway. In addition, the xRemote Switch will serve as a smart light switch, enabling the indoor location based features. We are adapting to our customers, giving them only what they want and need. Simply smart. The few key to the system would be your phone followed by Xremote app and connecting the "Xremote"
wifi device on the app in the 360 degrees direction without worrying about any blind spot . Other key feature system would be "Xremote Gateway" where it the brain of the system that control every device in your house in different room followed by "Xremote Mini" where its function is limited to single room targeting all the device located there and finally the "Xremote switch" where the room can detect which room you entering or out without the need to press any button anymore. The image below will give a clear idea on how these device work. Although is still work in progress, "Xremote" can be described from my point of view as a practical if not efficient simplified smart home system . Currently the team is looking for Serious Backer for the "Xremote" project at Kickstarter so head there right now at this link -http://bst.is/qwRKW8 and make this project a reality!